A car accident is a devastating experience, which can result in motor vehicle damage, serious injuries and sometimes death. Afterward, there are many pieces to pick up and you may not know where to begin. With over 100 years combined experience, the Waltham car accident lawyers of Breakstone, White & Gluck may be able to help. 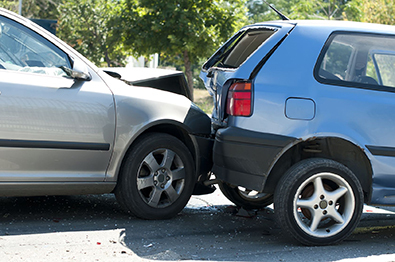 We represent those who have been injured in car crashes in Waltham and surrounding communities. Our motor vehicle awards for clients have included $7.1 million, $3.75 million and $3.5 million. Read more about our results. If you have been injured by a driver's negligence, contact our car accident lawyers to learn your rights. Call Breakstone, White & Gluck at 800-379-1244 or 627-723-7676 or use our contact form. Waltham borders several communities, including Weston, Watertown and Newton. Interstate 95 and 128 run through, putting it on one of the state's most challenging commutes. But many Waltham car crashes occur in the city, away from the highway. The Massachusetts Department of Transportation has included two areas in Waltham in its 2014 Top Crash Locations of Massachusetts report. The report ranks sites based on how many crashes occur there. According to the report, the intersection of Main Street and Lyman Street ranks 51st in the state and saw the highest number of crashes in Waltham. There were a total of 75 crashes reported, with 16 reports of injury. Following closely behind was Lexington Street and Trapelo Road. This intersection ranks 54th and saw 83 total crashes, with 13 resulting in injury. According to this report, the City of Waltham Transportation Master Plan reported these intersections and said the Moody and Main Street intersection sees the most crashes in the city. Main and Fiske streets are dangerous streets for cyclists and pedestrians. This was reported by the Wicked Local Waltham website. No matter how busy a street is, drivers have a responsibility to follow traffic laws and operate safely. This means traveling the posted speed limit or the appropriate speed for traffic conditions and yielding to other drivers, pedestrians and cyclists at intersections. If a driver does not follow traffic laws and someone is injured, they can be found negligent and may have to pay damages. Accidents involving large trucks are frequent on Interstate 95 in Waltham, Lexington and nearby communities. But trucks of any size can cause serious accidents when truck loads are not properly secured. In March 2016, a 27-year-old woman was lucky to survive when two tires broke free from a Ford Super Duty truck, striking her vehicle. The driver was arrested for driving without a license. Waltham residents also have the option to travel by bus. Waltham has 274 MBTA bus stops. The Central Square stops on Carter Street have a total ridership of 1,486 riders, according to the city's master transportation plan. This ranks among the top 120 busiest MBTA stops in Massachusetts. Hundreds of riders use the bus to access the Waltham Commuter Rail Station on weekdays. Accidents can happen and injure passengers of a bus. But often, pedestrians are the victims are bus crashes. If you are injured by a bus accident in Waltham, it is important to contact an experienced bus accident lawyer who has experience trying cases involving MBTA vehicles. Our attorneys have this experience. We have tried cases against the MBTA and won at trial and appeal. Read about our results. Pedestrians are often the victims of Waltham motor vehicle crashes, including those involving buses, trucks and cars. Much of the city walks and drivers do not always watch out or are speeding. Pedestrian accidents have been fatal in Waltham. In October 2016, a 65-year-old man was killed in another Waltham pedestrian accident in a crosswalk on Wyman Street. He was hit by a Lexus SUV just before 7 am. Another man was transported to a hospital with serious injuries. Areas with heavy pedestrian traffic include Moody Street, Carter Street and the areas near the public schools and universities. We have seen drivers make mistakes or make reckless decisions in these areas. In September 2017, an SUV backed into reverse onto a sidewalk on Moody Street right into three people. Visit a hospital ER to receive medical treatment for your injuries. Then, contact the Waltham car accident lawyers at Breakstone, White & Gluck to learn your rights and determine the next step. Our attorneys can launch an immediate investigation into what happened and we are committed to helping every client recover as quickly and as fully as possible.